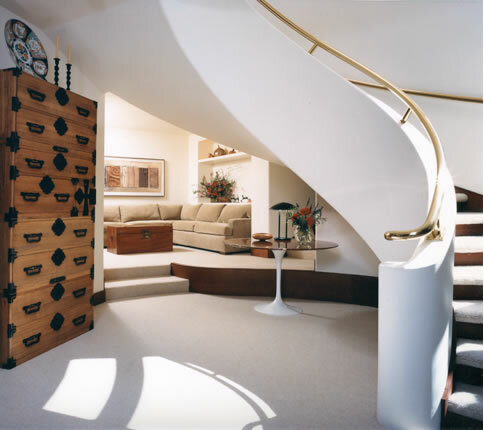 Bashland Builders has been providing high end custom remodeling for residential and commercial spaces in the San Francisco Bay Area since 1979. After undertaking eight separate remodeling projects for this client, their near-perfect house was reduced to ash following the Oakland Hills fire. We facilitated the start of its rebirth within days. The result follows. The dramatic staircase, fabricated in Canada and shipped here for plastering and installation, is the centerpiece of the entryway.